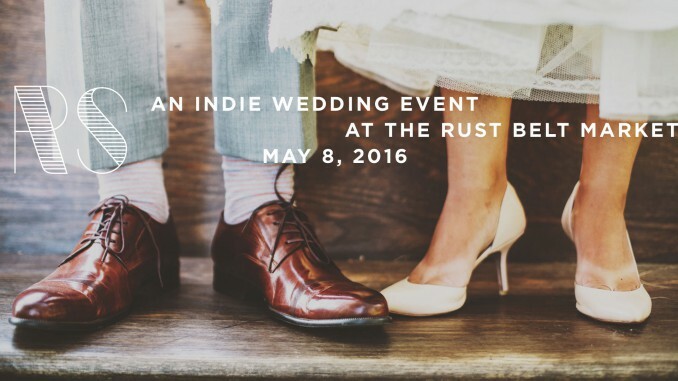 Blushing Brides-to-be looking for something extra special, a local connection, a handcrafted twist, dare not miss ROCK SUGAR this Sunday, May 8th at The Rust Belt Market in Ferndale. There you’ll meet local vendors to talk about their flavors and furnishings, gather some inspiration or a handful of business cards to complete your to-do list or even begin your wedding building! The event is completely free and runs from 11-5pm. You can read more back story in today’s Metro Times feature on the show, click this link to sign up via Event Brite or visit the Rock Sugar Facebook page for more info! Handmade Detroit are excited to be sponsors for this lovely event. See you there!